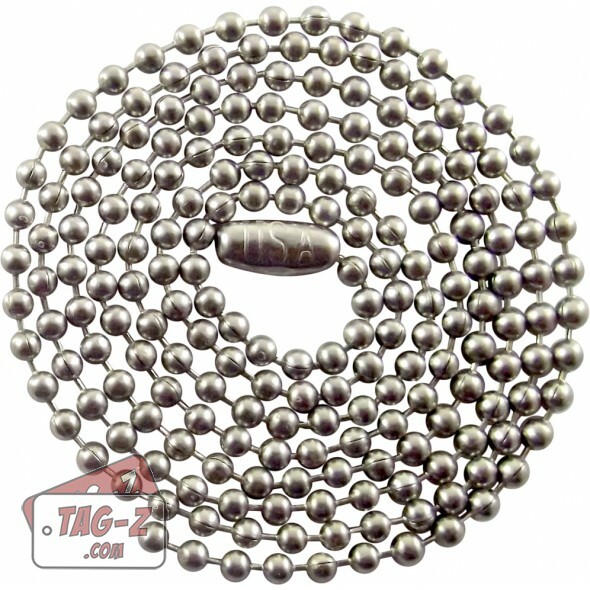 Tag-Z Stainless Steel Ball Chain dog tag necklaces are made from U.S. manufactured T304 Stainless Steel. They're #3 size chain, 3/32" or 2.4mm ball diameter. 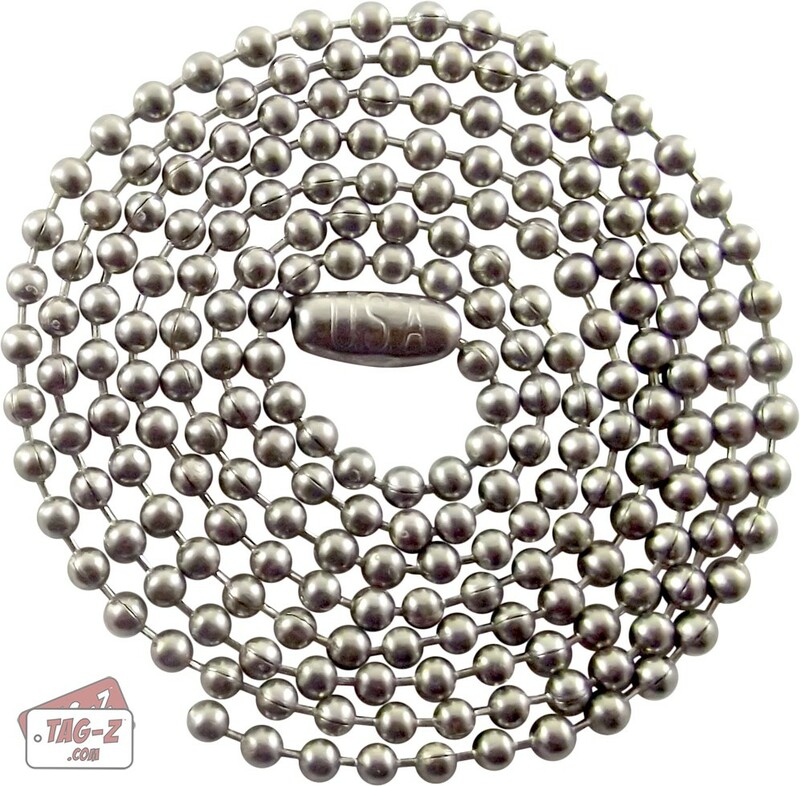 The stainless steel ball chain is uncoated, has a matte finish, and comes with connectors. If you need a special length, please call us and we’ll cut some especially for you. Ball chain is sometimes referred to as bead or beaded chain.